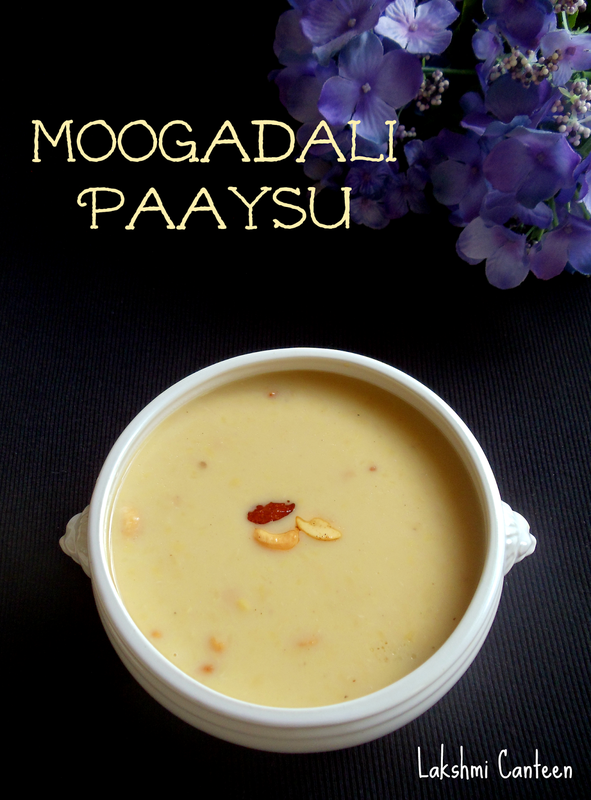 Moogadali Paaysu is a popular South Indian Kheer. I got this recipe from my mother. 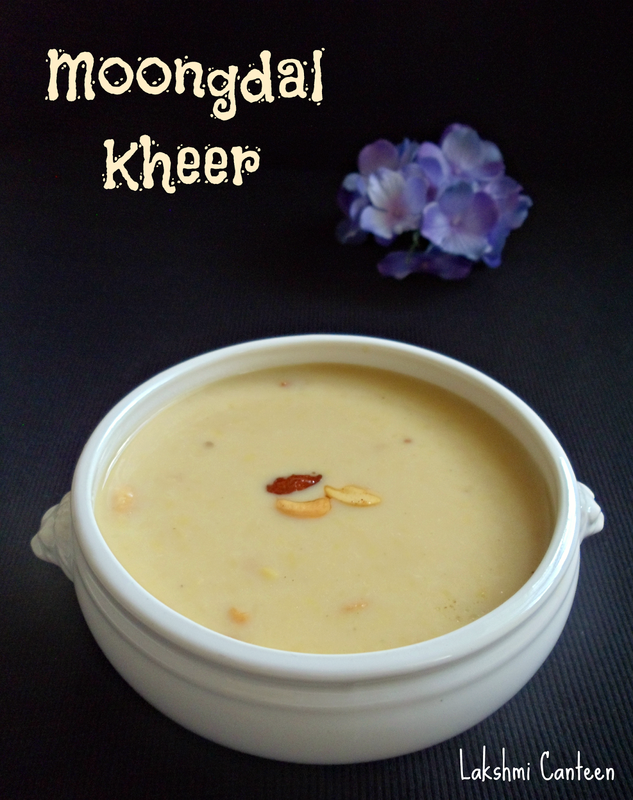 This kheer is very simple to make. 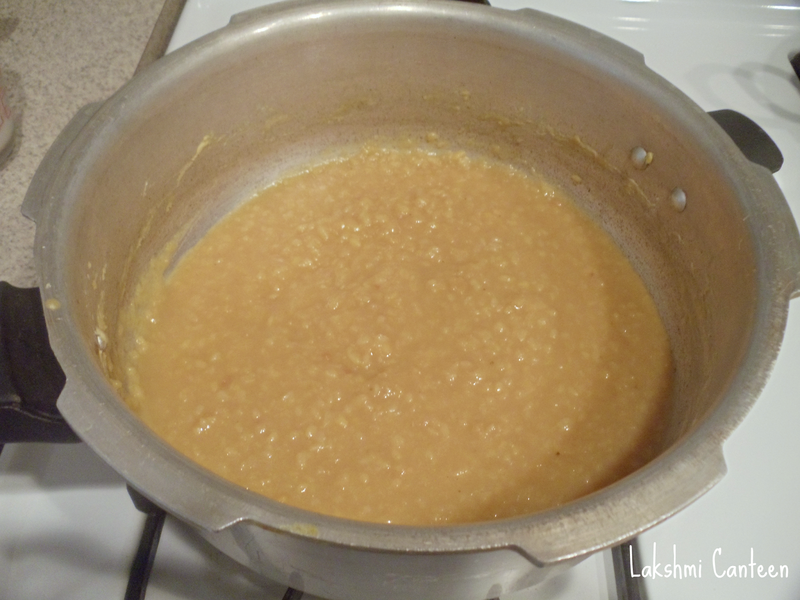 The moongdal is cooked and then sweetened with jaggery. 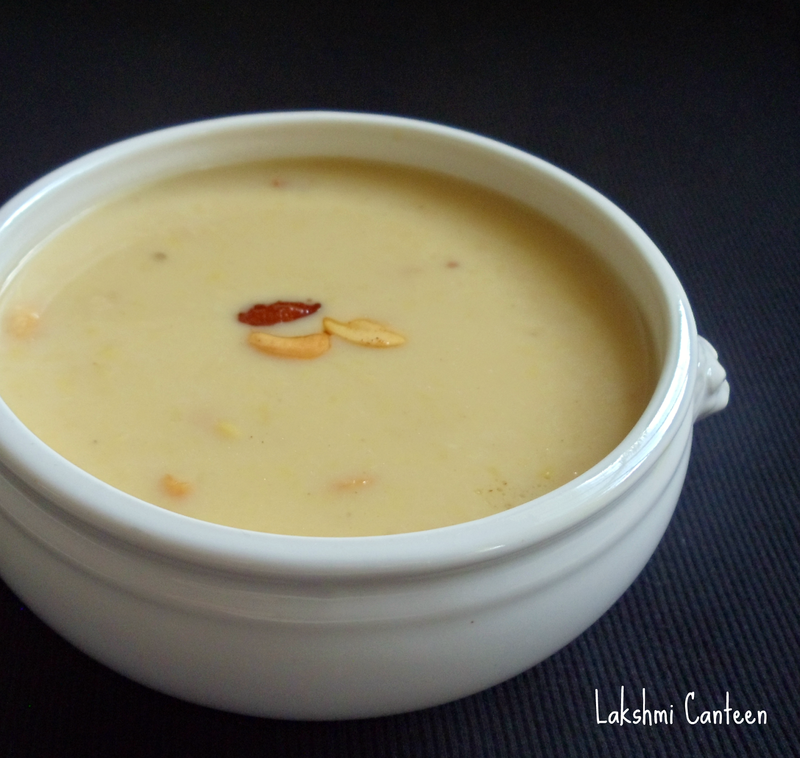 Finally it is enriched with coconut milk and a dash of cardamom. Long time back my brother had suggested me to post this recipe. I have been thinking of making this since then and finally I made it. It is my first try and turned out pretty good. Do try making this for any festivals which are lined up and enjoy! 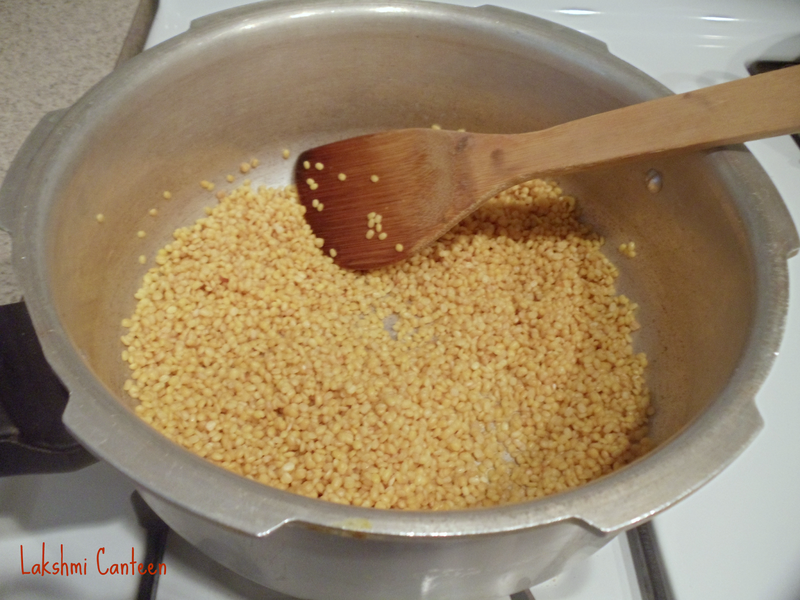 *You can also use 3/4 cup of moongdal and 1/4 cup of sabudana (sago pearls) for variation. Wash moongdal 2-3 times and drain the water completely. 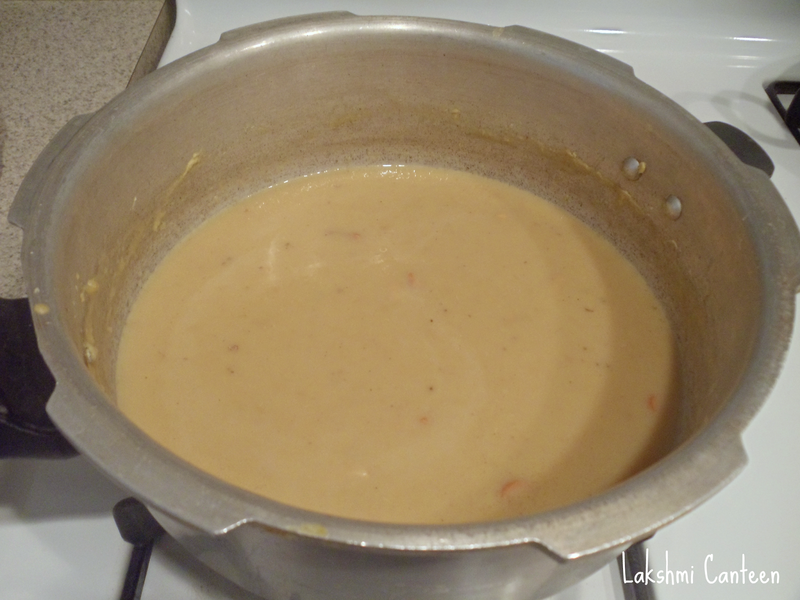 Now take this dal in a pressure cooker and fry this for 2-3 minutes along with a tsp of ghee (you are not looking for change in color of the dal) until a nice aroma is got. Then add 2 cups of water and pressure cook it for one whistle. Then mash it lightly with a wooden spoon. 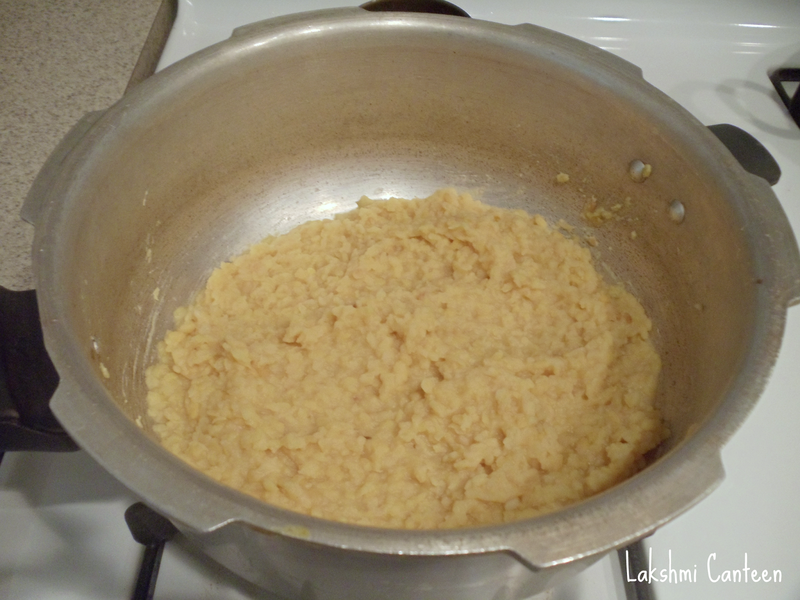 Add little water to loosen it and then add powdered jaggery. Start heating this mixture. 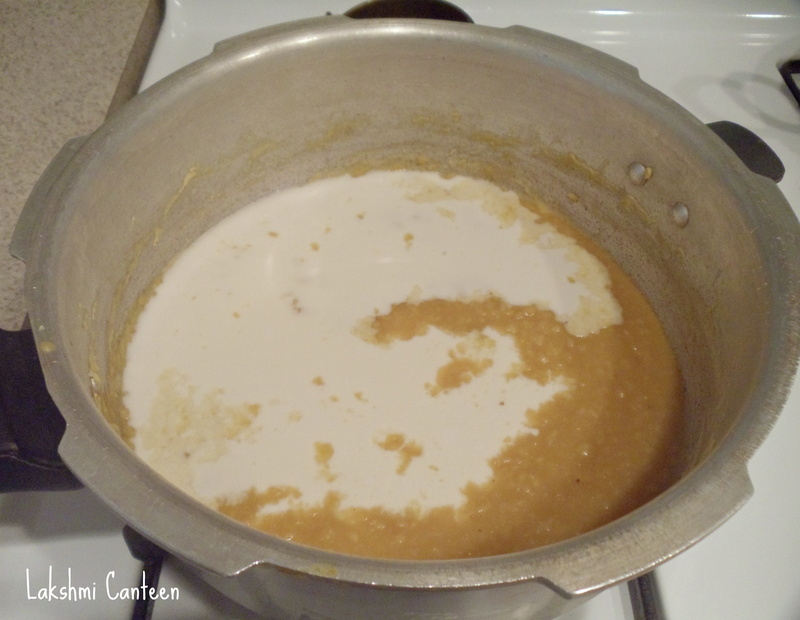 Turn off the heat when the jaggery is well dissolved and the mixture has boiled for 2-3 minutes. Now add in the coconut milk and cardamom powder. Mix well. Also add cashew and raisins fried in ghee. Mix well. Serve it warm. Above measurement serves 3-4 people.